There are many UK trusts working on river restoration projects, who alawys need volunteers to work on practical tasks as well as monthly clean-up events. This page provides information on finding river restoration projects in your area. Contact us if you can’t find what you are looking for and we will be happy to point you in the right direction. Since 2013, the Catchment Based Approach (CaBA) has been in action in England. The country is divided into over 100 catchment areas, each with a catchment partnership of stakeholders tasked with delivering river restoration projects involving local groups and individuals. Find more information on the CaBA website and find out which catchment you live in by searching the map of catchment partnerships. Each partnership has a page with basic information and contact details for the catchment host organisations, which are usually environmental NGO’s such as Rivers Trusts and Wildlife Trusts. 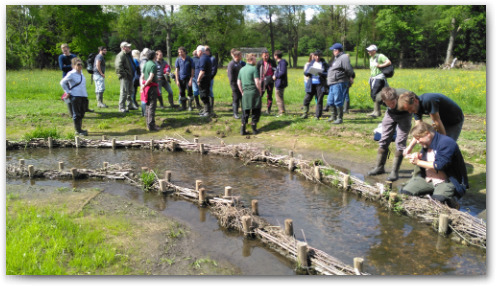 Partnership hosts will be able to tell you about river restoration activities and established groups within the catchment and how you can get involved with them. The Environment Agency (EA) is a non-departmental public body, sponsored by the Department for Environment, Food and Rural Affairs (DEFRA). It is responsible for the protection and enhancement of the environment in England. Find out more about the EA and their work here. Natural England is an organisation that acts as an advisor to the UK government for the natural environment in England. To look further into what they do, their responsibilities and their priorities, visit their website here. The Rivers and Fisheries Trusts of Scotland (RAFTS) represents Scotland’s national network of 26 rivers and fisheries trusts and foundations. Their website holds information on restoration activities carried out by these groups. 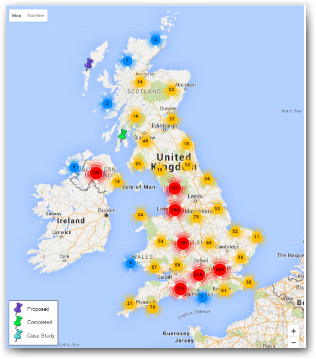 Find your local rivers trust or foundation by searching the RAFTS map here. Scottish Natural Heritage promotes the sustainable use of Scotland’s natural environment, while the Scottish Environmental Protection Agency (SEPA) is the regulator for Scotland’s rivers. 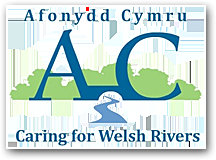 There are nine rivers trusts in Wales, and an umbrella organisation called Afonnyd Cymru. Find out more about the Trusts and their activities here. Natural Resources Wales is the government sponsored body responsible for the management of Welsh Rivers and the surrounding landscape. They currently have three trial catchment areas, the Rhondda, Tawe and Dyfi, where they are involving local communities in planning the management of rivers and catchments. Find out about activities and events in these areas here. The most established local group in Northern Ireland is Ballinderry Rivers Trust and a number of new trusts have formed in recent years. The Northern Ireland Environment Agency (NIEA) is committed to protecting the aquatic environment by regulating water quality and hydrological processes. They provide opportunities for anyone interested in local water issues to raise their concerns and become involved with local projects. Find out more here. The aim of the Rivers Agency is to manage flood risk to facilitate the social, economic and environmental development of Northern Ireland. To find information on past and present river restoration projects across the UK open one of the maps below and use the zoom tool to naviagte to the desired location. See what has been done near you or search for the sort of project you are interested in. The UK Projects Map provides key information of over 4000 river restoration related projects (no matter how small or at what stage) carried out in the UK by many different organisations. Search the map to identify what has been done near you. 150 projects contain links to case study pages. The EU RiverWiki contains a smaller subset of UK projects (900+), but with more information through case study pages. It is a tool for sharing best practices and lessons learnt for policy makers, practitioners and researchers of river restoration. The site is funded by the Environment Agency and managed by the RRC.